In our review of the 2TB WD Black hard disk drive, we noted that it is an insanely fast drive. In fact, it came in second only to the WD VelociRaptor in our tests! Needless to say, it was one of the few HDDs to win our Reviewer’s Choice Award. This is why we think it makes a great prize for our new giveaway contest! This 2TB WD Black HDD Is Up For Grabs! The prize is a brand-new 2TB WD Black (WD2001FASS) HDD. It comes in a sealed anti-static packet with anti-shock protection. Find out more about the 2TB WD Black (WD2001FASS) HDD (Amazon) and what’s included in the package in our 2 TB WD Black review! Tag 2 friends (or more) in the comments below the Contest Post OR any Tech ARP posts, and tell them why they should check out the post or article. Every friend you tag gives you one chance to win! Subscribe to our mailing list. You will find it on the right side bar of our articles. The 2TB WD Black HDD Giveaway Contest ends at midnight, the 12th of April 2016 (GMT+8), so make sure you complete either (or both) methods before then to qualify! At the end of the contest, we will collate all of the results (both Facebook and email methods) and randomly select one winner from the combined pool. 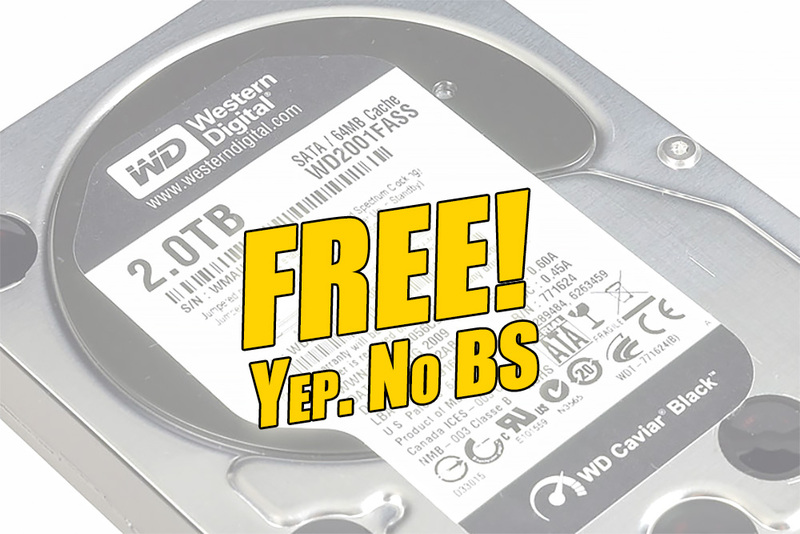 We are very excited to announce the 2TB WD Black HDD Giveaway contest results! This time, a total of 442 contestants participated. Thank you for making it such a success! We have not only selected the winner of 2TB WD Black hard disk drive, we have also pre-selected a backup winner, in case the first winner does not get back to us on time. Let’s see who won! If you did not win this time, don’t worry – we have another contest running right now! Check out the Tech ARP 2016 Power Bank Giveaway! Contestants are allowed to participate using either (or both) the Facebook and email methods as many times as they wish, but repetitions will not be counted. Facebook users must use their personal Facebook account. Corporate and contest gaming accounts will be automatically disqualified. Email users will be automatically disqualified if they send emails to fake email accounts. Tech ARP will be sponsoring many of these prizes and delivery of all prizes at substantial cost to the team. If you would like to help us defray our costs, you can do so by visiting more of our sponsors or participating in our forums. Any help you can render is greatly appreciated!